If you are trying to live a gluten-free lifestyle, it can be difficult at times. There are so many foods on the market that contain gluten, which is the general name for the proteins found in grains. But the good news is that it is getting easier, as more gluten-free products are now available. If you’re gluten free and you haven’t tried any NoGii products yet, then you need to! 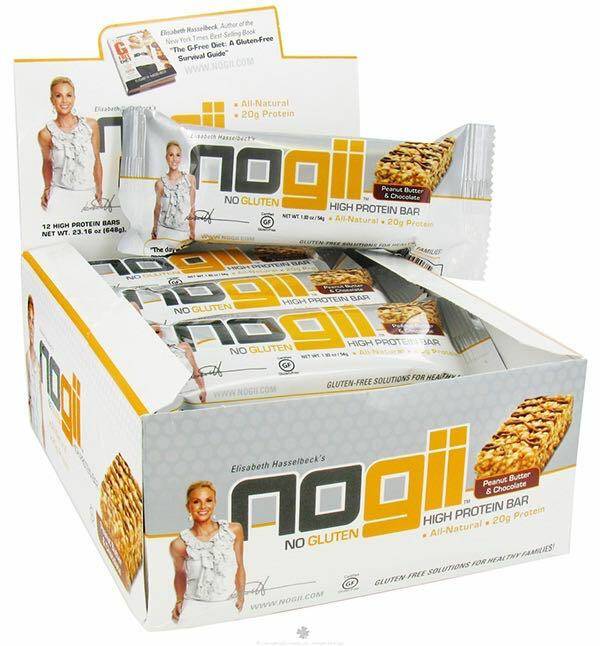 NoGii is a company we love that makes gluten-free protein bars and other amazing products. NoGii is a passion project for Elisabeth Hasselbeck, the Emmy award-winning talk show host and New York Times best-selling author of The G-Free Diet and Deliciously G-Free. Elisabeth has celiac disease and, after years of stomach ailments that went undiagnosed, began eliminating gluten from her diet. Since then, she’s been able to enjoy a normal and healthy lifestyle. She is now committed to raising awareness about the disease and the benefits of being gluten free. While I don’t necessarily live a gluten-free lifestyle, I have been trying to be more conscious of my food intake as of late. Over the last few months, I have been trying to lose a little weight, get back in shape and eat healthier, because unfortunately I did gain a little weight after the holidays. The problem is that sweet treats can be tempting, and I definitely have a sweet tooth! In fact, this is often where I fail when it comes to getting in shape. I don’t have a problem with training hard or finding motivation to work out— it’s my diet that I struggle with the most. Because of this, I’m always looking for ways to curb my sweet tooth while staying true to my goals. NoGii’s high protein bars are some of the best I’ve ever tasted. My favorite is the new Cookies and Cream flavor! Other flavors include Peanut Butter and Chocolate, Cocoa Brownie, Chocolate Mint and Chocolate Coconut. Not only are these bars high in protein and free of gluten, they also contain no hydrogenated oils, no high fructose corn syrup and also have an ideal balance of protein, fat and carbs. What I also like about these bars is that they are big enough to split into two, so if I wanted to consume fewer calories, half a bar was perfect for a snack. I even brought one of these to a party and as a result didn’t indulge in any less-than-healthy treats that were available! I’m also happy that the changes to my diet are finally showing. I have lost 10 pounds since January when I started being more conscious of my diet. I really think that NoGii bars helped me reach this goal. The bars are so tasty that I didn’t feel like I was missing out on sweets! So if you need an on-the-go snack that won’t derail your goals, or something to help you satisfy you sweet tooth, then give these a try! 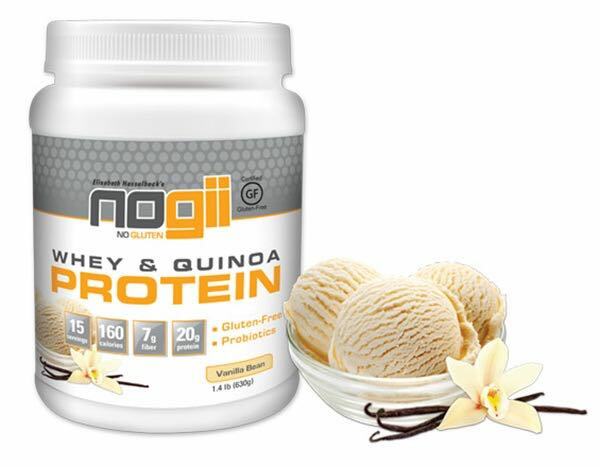 NoGii also offers a few other products, including gluten-free protein powder. There are even gluten-free recipes on their website, www.nogii.com. Check it out! Lisa Steuer is a journalist and freelance writer, and formerly the managing editor of FitnessRx for Women. Lisa is currently a Content Developer at Flexographic Technical Association.